A mother has shared a heartbreaking photo highlighting the devastating impact cancer has on families. 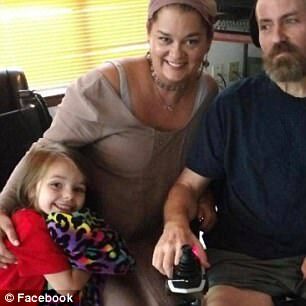 Ally Parker's five-year-old daughter is fighting a losing battle against an aggressive form of brain cancer, while her father is terminally-ill with a motor neuron disease. 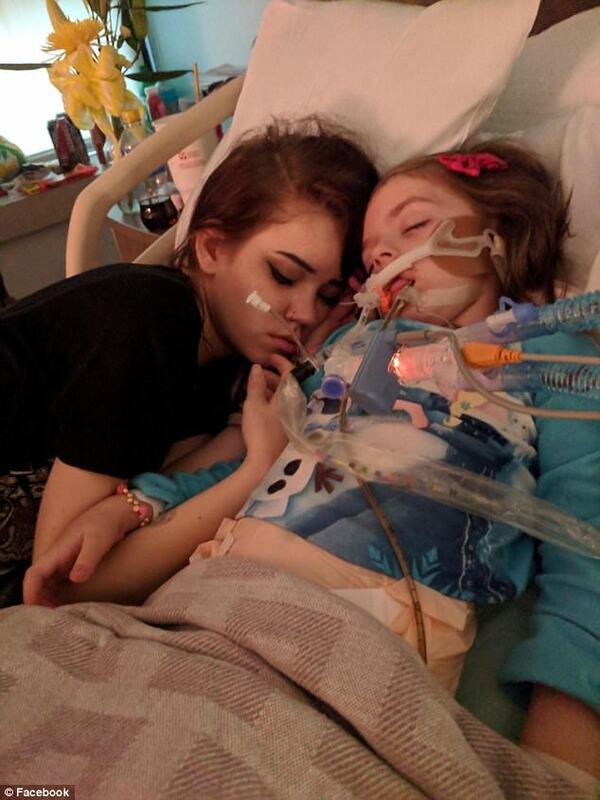 The mother from Florida now faces the grim prospect of having to bury both her daughter and father within weeks of each other. 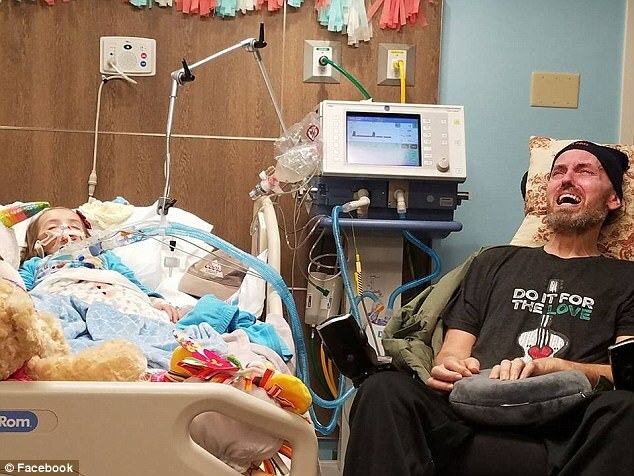 So she uploaded a gut-wrenching photo to Facebook on Sunday showing her father, Sean Peterson, wailing by his granddaughter's hospital bed. The sheer expression of agony on his face conveys a pain the whole family is forced to endure. 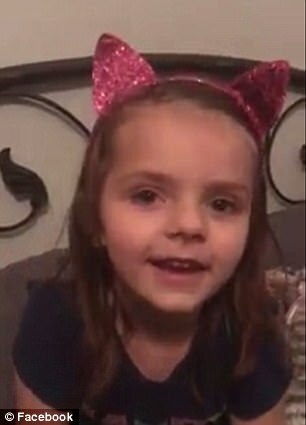 On December 6, Braylynn Lawhon was diagnosed with Diffuse Intrinsic Pontine Glioma - the most deadly form of brain cancer which has no cure and no survival rate, according to The Daily Advertiser. And her condition has deteriorated as doctors battle to treat her illness. 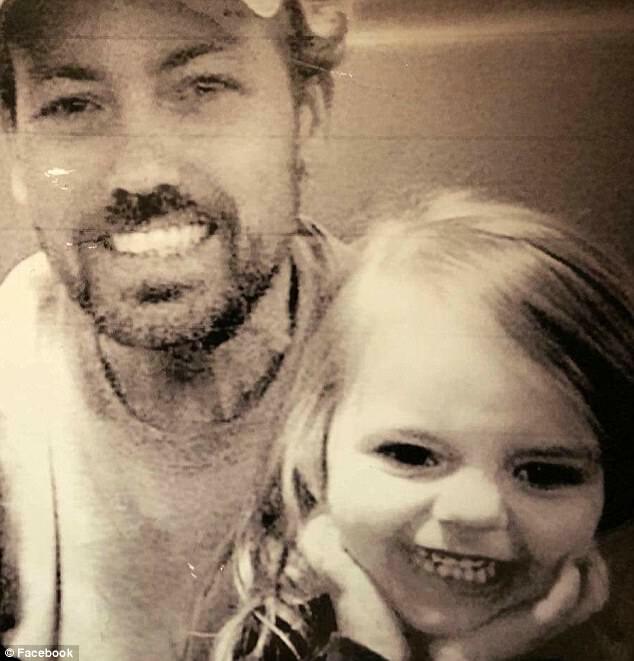 Parker posted about the little girl's plight in a bid to raise awareness. 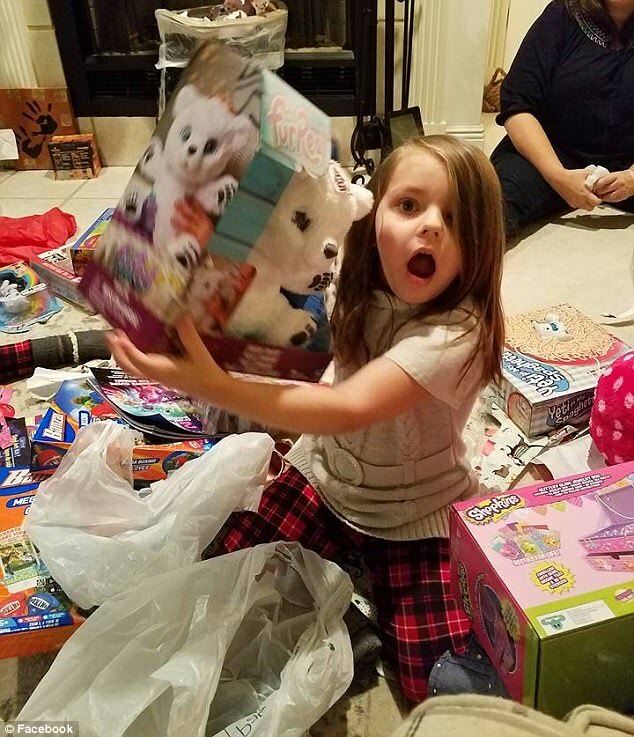 'We all thought that they would outlive the rest of us...and we certainly never thought that my precious little Braylynn would be the first to go,' Parker wrote in her Facebook post. 'Last year was hard for us, but I can't even begin to explain how difficult this year will be and has already been. 'Both of my heroes, gone, within the same year,' she continues. 'How could this happen to us? What did any of us do to deserve THIS? The Pensacola family was given a glimmer of hope after hearing about revolutionary experimental treatment in Mexico. They are currently collecting donations via a GoFundMe page that seeks to raise $300,000 for the procedures. The treatment, not covered by insurance, cost nearly $30,000 a round, and due to the aggressive nature of this cancer, several rounds are needed for success, The Advertiser reported. 'Braylynn is still here. Pulse is still strong. Vitals are still normal,' Parker wrote on Monday. 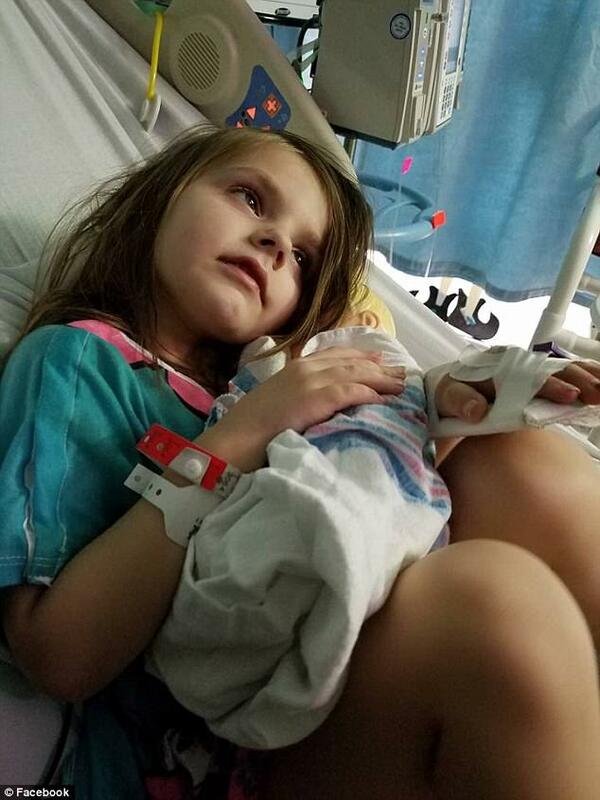 Parker says she is now determined to raise awareness for and funding for DIPG, setting up a Facebook page called Braylynn's Battalion. 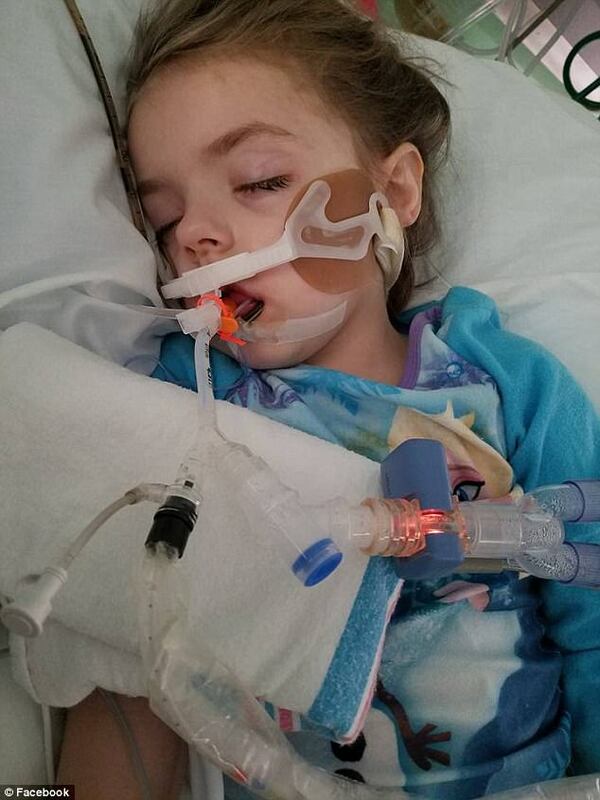 'My baby girl deserves to live a full, happy life, and so does every other child who has had to face DIPG,' Parker writes on the social media site.